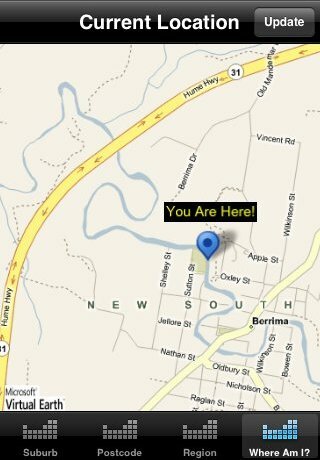 Want to know where some place is? 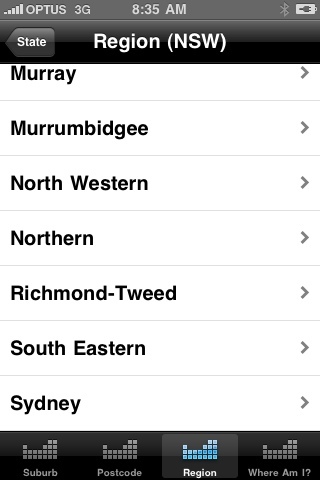 What town or suburb is next to it in any direction? What other locations are in the same area? With "Where Is That?" 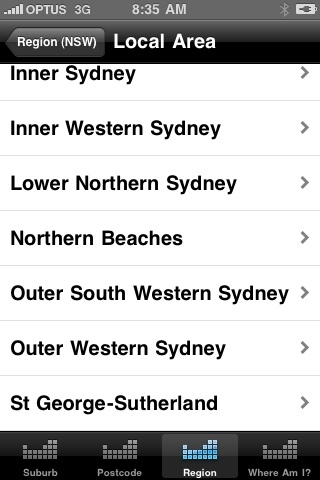 you can search for, and get maps of, all 17,000 Australian suburbs and postcodes. 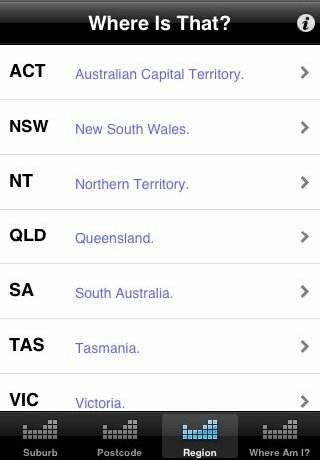 Distance and direction is given to nearest capital city, major town and any bookmarked location to give you location description and the list of immediate neighbours. 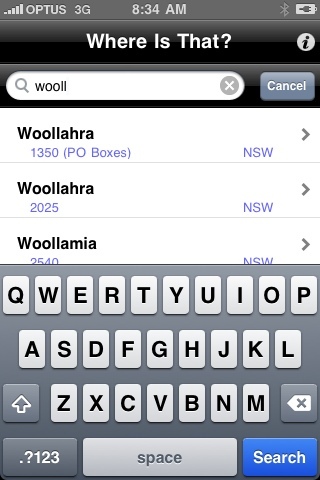 Search by name to get postcode, by postcode to get name and by 3 level regional drilldown to get all locations there. 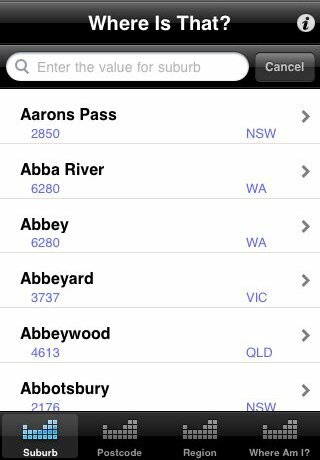 Updated every 6 months with new facts such as phone numbers and population and you will always have the latest postcodes and suburbs always at your fingertips! 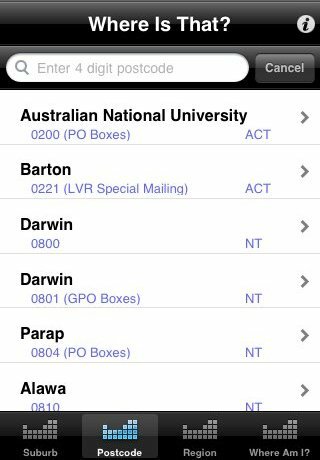 .. browse or just start typing name in, even if unsure how to spell it! 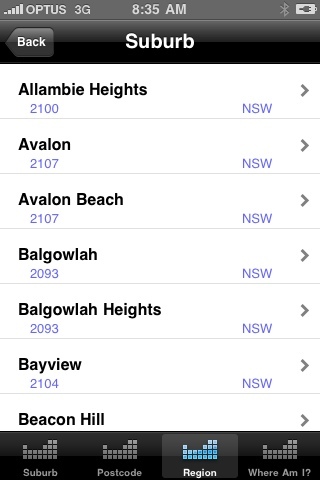 Browse all postcodes in order..
.. search valid postcodes just by typing it in ..